Hot off the heels of a ruling by the highest court in New York State that potentially makes all assisted-opening knives illegal, a federal appeals court upheld New York City’s vague ban on gravity knives. 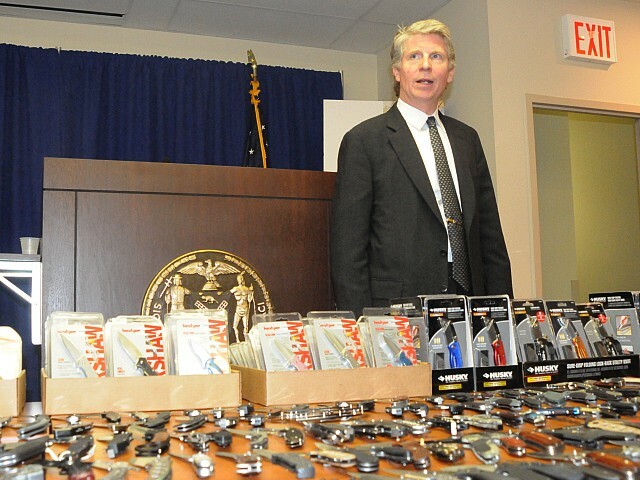 The case of Copeland v. Vance has been a long-running battle between Knife Rights and New York County District Attorney Cyrus Vance Jr. 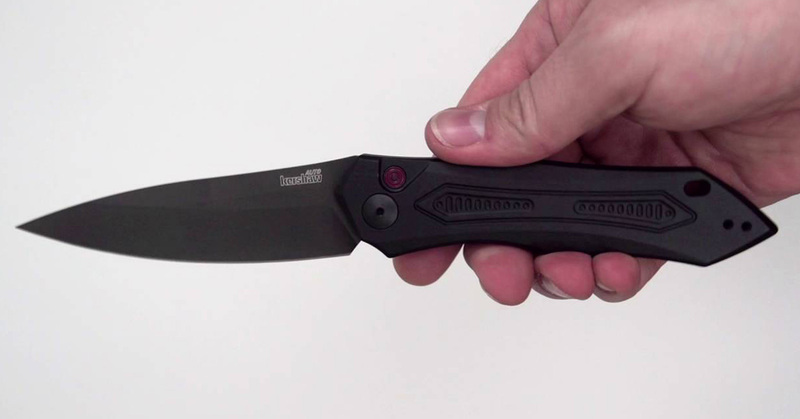 Knife Rights has challenged the gravity knife policy of New York City that allows cops to call any locking folder that can be opened with a flick an illegal gravity knife. Knife Rights has insisted that the practice of the wrist flick is inconsistent and unconstitutional because there is no test that would allow a user to determine whether the knife is legal. The panel, however, argued that the test was constitutionally applied at least once in 2010. It’s another one of those what-is-this-world-coming-to stories. An eighth grader at a middle school in Pennsylvania was suspended for three days and may face a 10-day suspension after accidentally bringing a pocket knife to school. The story wouldn’t be so shocking thanks to school policies these days, but the boy had actually done the right thing and immediately turned his knife into the principal when he realized it was in his pocket. Doing the right thing did not matter. He was immediately suspended. 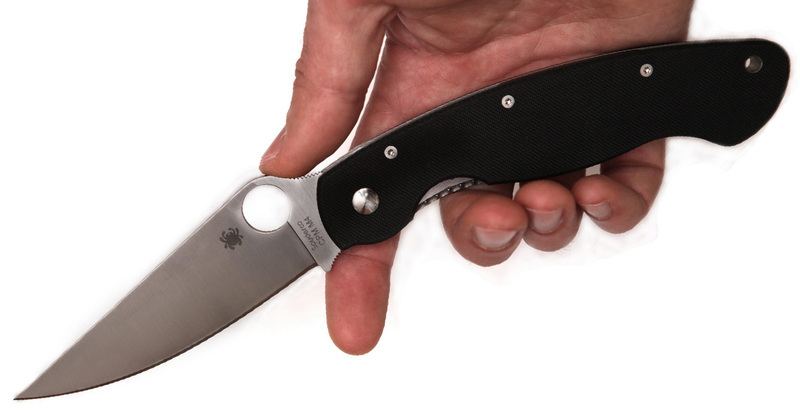 Over the years, Spyderco has made it crystal clear that if you disassemble your knife, it will void the warranty. Disassembling a Spyderco voids the warranty. Period. There was a question about this being a “myth”. It is not a myth. It does not matter if you don’t break anything when you do it. If we can tell that a knife has been disassembled (whether it’s a FrankenSpyder or not) the warranty is technically void. But earlier this month, Spyderco announced that disassembling your knife does not automatically void the warranty. Are you looking for some way to get that youngster in your life into knives? We’ve got the thing for you. Yes, Medford Knife and Tool has launched a brand new comic series following the tales of Jack Knyff. The idea behind the new comic is pretty interesting. Greg Medford doesn’t just want to sell knives anymore (he still does, of course) but he wants to reach a broader audience, not just an insulated community of knife nuts. A panel of judges in the Pennsylvania Superior Court reaffirmed a ruling Thursday that says switchblades are not protected under the Second Amendment. On July 29, 2014, William Battle went into the Pike County Administrative Building for an appointment with a probation officer related to an incident in 2009. When Battle emptied his pockets to go through the metal detector, a deputy saw an automatic knife with a four-inch blade. Battle was promptly arrested and charged with possession of an illegal offensive weapon. He was found guilty in a jury trial in January 2016 and was subsequently sentenced to one to three years in jail, despite his attorney’s arguing that Pennsylvania’s criminal code (18 Pa.C.S. § 908) prohibiting the possession of offensive weapons was unconstitutional. So he filed an appeal. While Battle and his attorneys acknowledge that the state law does indeed prohibit the possession of automatic knives, they argue that it conflicts with the right to bear arms laid out in the Second Amendment. 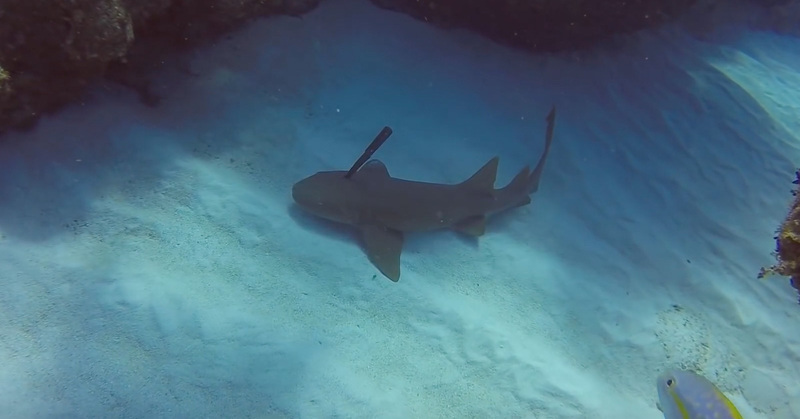 As dive instructor Brett Johnson and his students were scuba diving off the Cayman Islands in the Caribbean, he noticed a three-foot nurse shark in the sand near a hanging reef. That’s when he noticed the massive foot-long knife sticking out of its head. 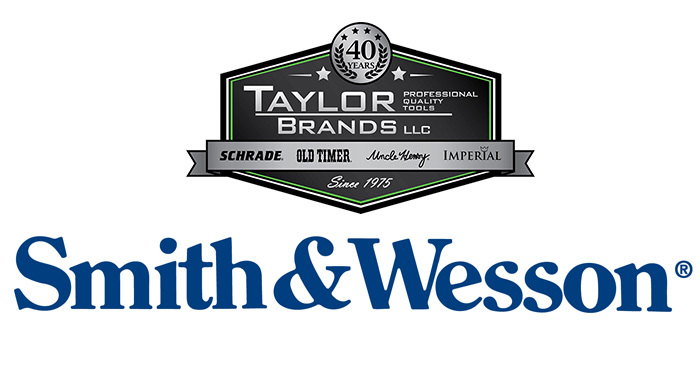 Now, Smith & Wesson is purchasing Taylor Brands, which also licenses the Smith & Wesson name, for $85 million in cash. What does this mean for the knives currently under Taylor Brands? We’re not quite sure yet. Here’s what we do know. Since Taylor Brands licensed the Smith & Wesson name for knives, it’s likely S&W wanted to keep everything under one roof while also expanding its name and portfolio. 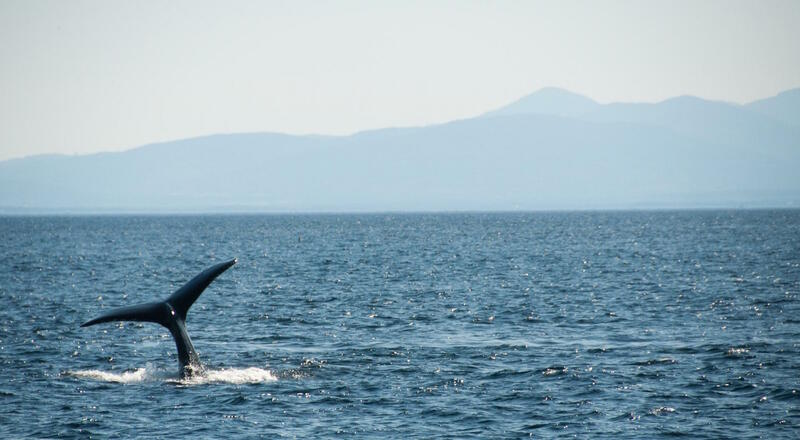 Whale entanglements are on the rise. In 2015, the National Oceanic and Atmospheric Administration reported 61 incidents of whale entanglements along the West Coast. That’s the most since the NOAA started keeping records in 1982. On Monday, an 80-foot blue whale entangled in crab traps and lines attached to buoys was spotted off the coast of Orange County. Blue whales are endangered after being hunted mercilessly by whalers for decades, so it’s a shame for the whale to be stuck. That’s where Spyderco comes into the picture. It’s a well-known fact by now that the UK is cracking down on knives, but police officials across the pond are now taking aim at a specific type of knife: zombie killer knives. 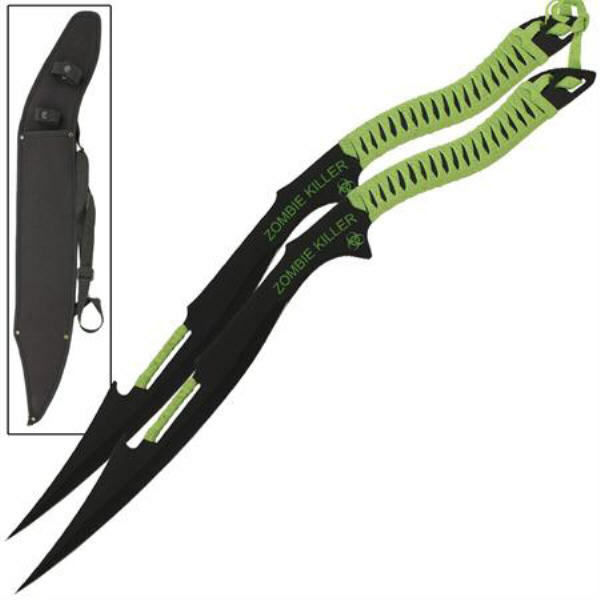 “Zombie killer” knives or, as we like to call them, zombie apocalypse survival tools are a genre of knives that many consider novelty items. Apparently, local gangs are using these knives as status symbols or for intimidation. If you still don’t know what we’re talking about, check out this Zombie Killer War Blade Set—a best-seller here at Knife Depot. 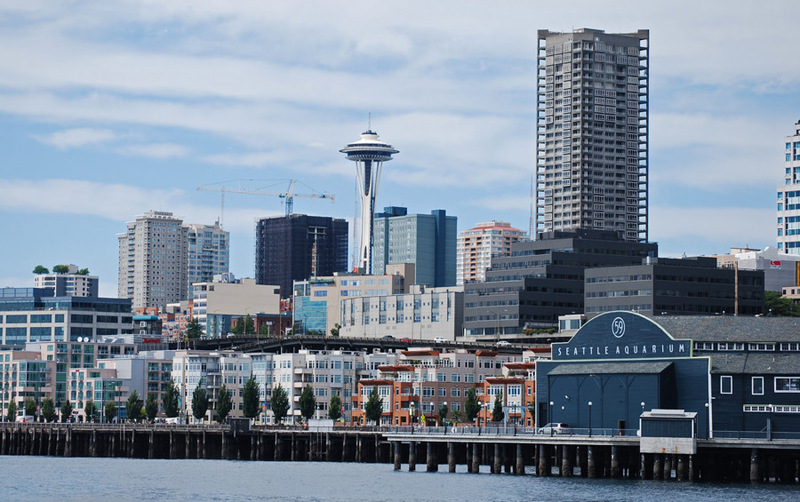 In a setback for knife rights advocates, Washington State’s high court upheld a ban on knives in Seattle, ruling that there is no constitutional right to carry a knife. Let’s go back to the beginning. In February 2010, Wayne Anthony Evans was pulled over for speeding in Seattle. Evans told the officer he had a sheathed kitchen knife in his pocket when the officer asked. As a result, prosecutors from Seattle charged Evans with unlawful possession of a “dangerous” knife under the city’s ordinance. After being charged with a misdemeanor, Evans appealed the conviction claiming his constitutional rights were violated. In 2014, the state court of appeals in Washington upheld the conviction because it concluded that kitchen knives shouldn’t be considered “arms” and therefore were not protected by the Second Amendment. 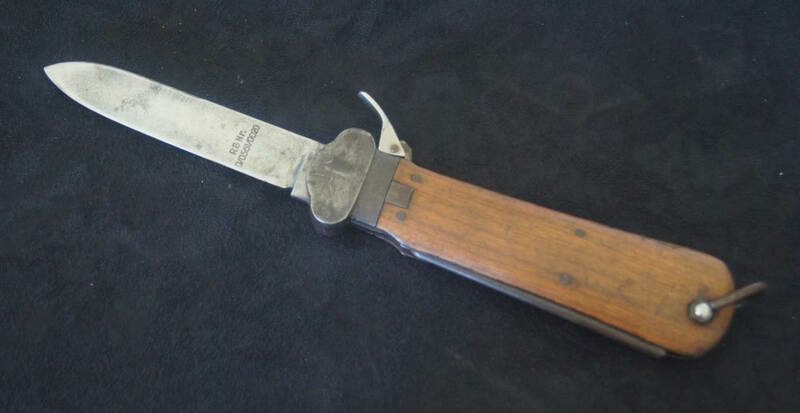 A paring knife, which may have been similar to the one Evans was carrying when he was charged. Then, a week ago, the Supreme Court of Washington State confirmed the earlier ruling that the Seattle law prohibiting the carrying of small fixed blades does not conflict with the Second Amendment.